The Manchester tram network after the opening of the South Manchester line as far as St Werburgh's Road. The route numbers are for convenience, and were not in use by the operator. NB: The above routes are weekday daytime services. Routes 1 and 5 do not run on weekday evenings, and on weekends and public holidays. 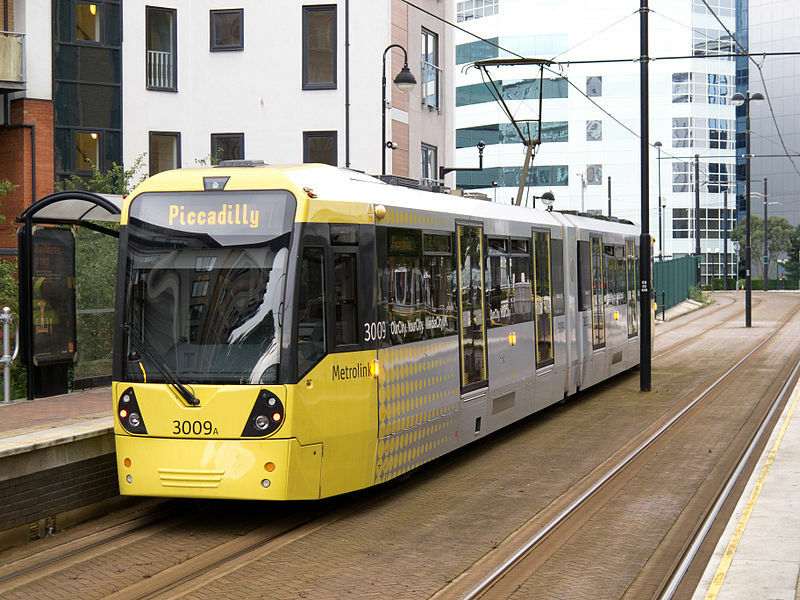 When route 5 does not operate, route 4 also stops at Media City.